Hammerhead crane, Garden Island, Sydney, 17.8.2013. Photo by Phillip Simpson. Meccano model builders, industrial archaeologists and lovers of Sydney’s history were bitterly disappointed recently when the Navy announced on 8 August 2013 that the giant hammerhead crane towering over the Garden Island Naval Depot on Sydney Harbour will be demolished. According to the National Trust for NSW’s ‘Our Heritage at Risk’ web site, it’s “the largest crane in the Southern Hemisphere and it remains unique in Australia. Built to lift up to 250 tons, it is one of a series of cranes built around the world to service the British Navy fleet and, as such, demonstrates Australia’s position in the former British Empire”. One of the engineering drawings for the hammerhead cranes built in Sydney and Singapore drawn by Sir William Arrol, Glasgow, and Sir Alexander Gibb and Partners, London. Powerhouse Museum collection 2003/217/1. Gift of Mrs Helen Spicer, 2003. The cantilevered crane is only one of a handful built around the world. It was specifically erected for the removal of twin 18-inch gun turrets from the English battleships of the period, hence their locations at Royal Navy home ports. The Museum has detailed drawings of the famous structure, designed and made by Sir William Arrol and Co. Ltd and Sir Alexander Gibb and Partners between 1937 and 1943. A 1948 Meccano instruction book for Outfit No. 6, made by Meccano Ltd, Liverpool, England. Powerhouse Museum collection. Gift of Malcolm Booker, 2013. But to generations of Meccano builders the crane means so much more. It embodies exactly what the construction toy, Meccano, was trying to emulate. The crane itself is very similar to the large and impressive Meccano model, the giant block-setting crane, which from 1934 until 1957 featured on the manual covers and instruction books of all Meccano sets. It was the symbol of the most advanced model which could be made with Meccano, the construction toy invented by Frank Hornby in 1901 and made in Liverpool, England. Regardless of the size of the set, the crane was what every boy aspired to build. Cover of the plans for the Meccano giant block-setting crane. Powerhouse Museum collection. Cover of the plans for the Meccano giant block-setting crane. Powerhouse Museum collection.Plans for the giant block-setting crane model, known as Super Model No.4, came out in 1928. Several examples of the giant block-setting crane were built in the model room of the Binns Road, Liverpool, factory for publicity purposes. You can imagine my excitement when the Museum was offered to acquire what is thought to be one of these cranes. We think it was brought to Australia by Frank Hornby himself in about 1929 to advertise Meccano to local retailers. It was displayed in the Sydney window of E.G. Page, the Australian Meccano agents. Page’s advertisements regularly featured the crane with the title “The Meccano Boy of To-Day is the Engineer of Tomorrow”. Meccano giant block-setting crane model, in the original nickel-plated Meccano pieces, on display at the Powerhouse Discovery Centre. Powerhouse Museum collection. 2012/108/1. So why was Meccano so important to the boys who would become the engineers of the 20th century? Meccano is based on a standard system of equidistant spaced holes ½ an inch (1.27 cm) apart which are set in metal strips and angle brackets. These are held together with tiny conventional brass screws and nuts. The addition of miniature engineering components such as cranks, bevel wheels, couplings, pulley wheels, gear wheels and pinions, increased its versatility to make numerous working models. Meccano had the components and technology for boys to actually design and make often complex machinery, working model cranes, tip wagons, cars, aeroplanes, swing bridges, machine tools and locomotives in miniature. Meccano was exported all around the world, especially to Commonwealth countries, and inspired a worldwide club. Meccano was the first toy company to actively brand their product and went to great lengths to market it through the creation of their own clubs, guilds and, magazines. There is no doubt that Meccano spawned a generation of technically-minded adults and engineers but was also used in engineering firms for model building and by inventors for modelling just as computers are used today. By the 1960s rival plastic construction toys, which were cheaper and appealed to a wider and younger group, took away much of the Meccano market and the firm closed its Liverpool factory in 1979. Nevertheless it continues to be made off shore in various countries and adult devotees still meet and display their models with great enthusiasm. Recently, Meccano model making activities for the public run by the Sydney Meccano Modellers Association have been included in the Powerhouse Discovery Centre’s weekend open days bringing a love of Meccano to a new generation. Will the PHM be making a photographic record and adding a few chunks of Hammerhead to its collection before it goes ? It’s such a pity. I love the crane so much, it’s very beautiful and the unsung icon of the harbour. I hope the Powerhouse or some other museum/gallery does a show about it. I draw it several times a week myself. I’m sure a rich visual record of it is out in Sydney and around the world. Many thanks for all your comments. The Museum doesn’t have any plans at this stage but your suggestions will be borne in mind. 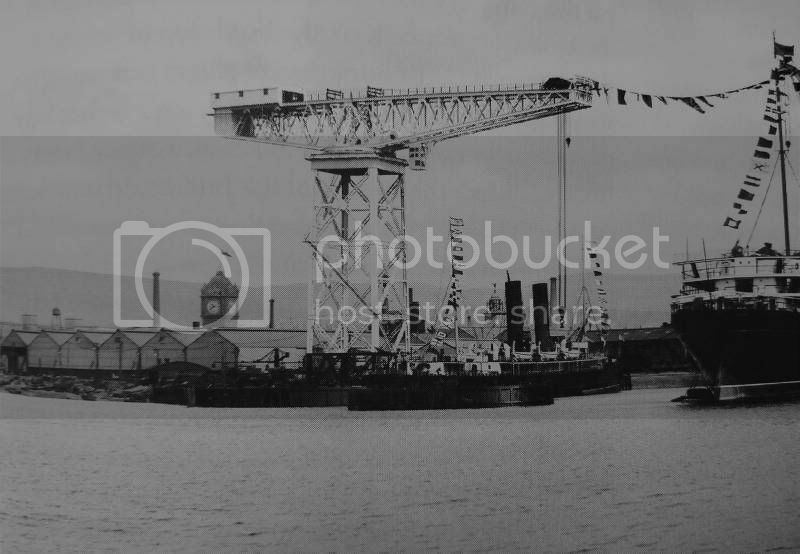 Looking for a crane plans Arrol of Glasgow or the Lusitania was built in fitting out and in high resolution. I would like to realize a model of the crane with the Lusitania in fitting out. I am also looking for some information on the location or the Lusitania was built with these small cranes? 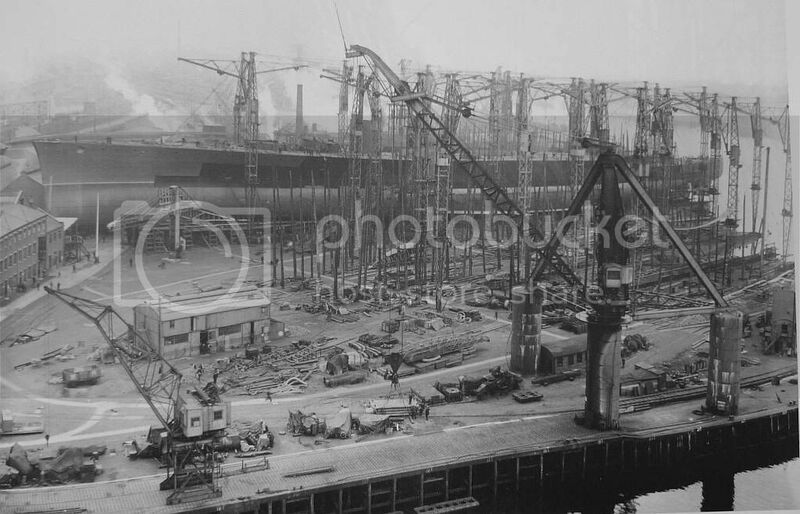 Here are some link photo of naval shipyards of Glasgow John Brown’s company. It is a true shame that it was taken away from the people of Sydney, and a great loss of heritage for future generations.